Anything you read about equine nutrition will tell you about the evils of starch. But how many horse owners really understand WHY it is so important to avoid starch in their horse’s diet? First of all- what is starch? Starch is the energy store of plants. Also called non-structural carbohydrates (NSCs), starches are found inside of plant cells. Starch consists of two types of molecules, amylose and amylopectin. The digestion of starch in horses begins in the small intestine with degradation by the enzyme alpha-amylase breaking the molecules into smaller units. Amyloglucosidase from the intestinal brush border then hydrolyzes these units, releasing glucose. This glucose can then be transported from the lumen of the small intestine, through the intestinal epithelial cells and into the bloodstream so that they can be used. This is what happens in an ideal situation with a manageable amount of starch. However, when too much grain is fed, or when pasture grasses are too high in NSCs, the limiting factor becomes the amylase. When there is not enough amylase present, the starch will not be broken down in time for this process to happen in the small intestine. Instead, starch will enter the cecum. This is the first part of the large intestine of the horse, and is an area heavily inhabited with microorganisms. These microorganisms aid the horse in digestion by producing digestive enzymes so that they can break down plant material. When a large amount of starch reaches the hindgut, microbes will ferment it. There are several disadvantages and even potential dangers to fermentation of starch in the hindgut of your horse. First of all, fermenting the starch is a much less efficient usage than breaking it down earlier. Not many nutrients will be gained from it at the point of the hindgut. When starch is broken down prior to the cecum, glucose is able to be absorbed through the small intestine, and this is how the horse is able to gain maximum nutrition. Additionally, a by-product of microbial fermentation is lactic acid. This lowers the pH of the hindgut, causing something called “hindgut acidosis”. This acid production can lead to several problems in the horse. It can cause a general discomfort that may lead to attitude and behavioral problems. It also may mean gas buildup that could lead to gas colic. 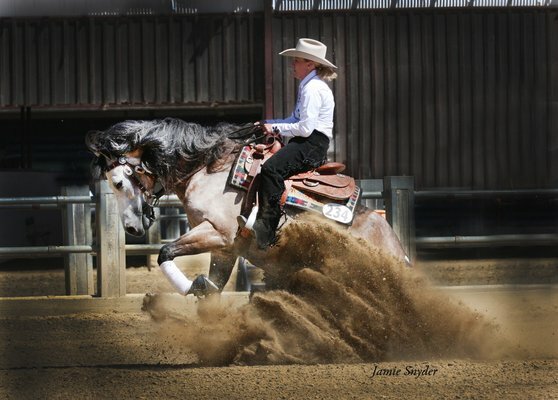 In addition to this, lactic acid from the starch-fermenting bacteria may cause the “good” bacteria to die off and release toxins into the horse’s bloodstream. This can lead to system-wide inflammation and laminitis. Now that you understand why people say to avoid starch in your horse’s diet, you may be concerned about the starch that IS present. You can’t avoid starch altogether, and some starch is needed to meet the nutritional requirements of your horse. The best thing that you can do to make sure that your horse safely digests their starch is to ensure that they have adequate digestive enzymes to break it down in their small intestine. This will not only help prevent digestive upsets, but will also help maximize their digestive efficiency. Horses have a limited amount of amylase, and it has also been found that their amylase enzymes are not as efficient as some bacterial and fungal amylase enzymes. Supplemental amylase is very beneficial in the diet of any horse, and will also help your peace of mind. Whether you and your horse simply enjoy trail rides around the neighborhood or compete in performance events on a national level, chances are that you have put considerable thought into his or her diet. For such a large and powerful animal, it seems that the horse has one of the most delicate digestive systems and is prone to colic at the most unexpected and inconvenient times. If we want to get the maximum performance out of our horses and give them the utmost chance to excel, we should take a good look at what goes on inside of them. The process of digestion involves proteins called enzymes that serve various roles in breaking down food into smaller molecules that can be absorbed. These enzymes are made by the horse, and also are produced by the bacteria that live in the horse’s gut. Horses themselves actually don’t make the particular enzyme cellulase, which is needed to digest plant material, but the gut bacteria provide them with enough cellulase digest their food. These bacteria also produce additional enzymes that perform varying digestive processes necessary for the absorption of essential nutrients from food. While the symbiotic relationship between horses and the bacteria that inhabit them is an impressive biological arrangement, sudden upsets can cause huge problems such as gas colic, laminitis, and other health issues. An equine dietary supplement with the addition of enzymes can do more than just increase the ability of your horse to breakdown their food; it can possibly even help prevent a deadly problem. The ideal conditions for a feed program would mimic what is natural for the horse, which is a continuous intake of forage throughout the day. However, particularly in areas where horses must be kept stalled, constant feed access isn’t necessarily an option. Rising hay costs can be inhibitory, leading owners to find the most cost-effective ways to feed their horses and make sure that hay is not being wasted. Also, free access to hay cannot be an option for all horses, as some will overeat to the point of obesity if it is kept in front of them. The best thing we can do is try to spread out feedings as much as possible. Rather than feeding a large amount once per day, it is better if the same amount of hay can be spread out in 2-4 feedings. The basis of your feed program should be some sort of forage- either a legume like alfalfa, or a grass hay such as orchard or timothy. Humans often add grain to the equine diet, especially for performance athletes and broodmares. This may be as an extra source of calories or as a method of delivering a vitamin/mineral supplement. Grain adds additional starch to the diet, especially when a large amount is fed at once, and this can cause a drastic change in the climate of the large intestine. The bacteria present in the area will begin fermenting the sugars that were not absorbed in the small intestine, lowering the pH and resulting in a huge increase in the gases produced. This lowered pH can lead to a chain of events including alteration of the microbial inhabitants of the region, lysis of bacteria, and release of endotoxins. Damage to the mucosa will allow those endotoxins to be absorbed and cause problems such as a horse owner’s worst fears, colic and laminitis. However, there is a way to possibly prevent issues as well as improve your horse’s digestion as a whole- supplement with enzymes. Especially if you are feeding grain, the addition of enzymes will help give your horse a digestive advantage. Enzymes come in various forms and do different jobs, so the enzymes needed may depend on what your horse’s diet consists of. Amylase enzymes can start the starch breakdown earlier in the digestive process to assist in preventing the problems just discussed. If starch is broken down prior to reaching the large intestine, the smaller sugars will have the chance to be absorbed in the small intestine, resulting in higher efficiency feed utilization. Proteases break down proteins, lipases help break down fats and cellulases, xylanases, pectinases, and phytases help your horse access otherwise unavailable nutrients. 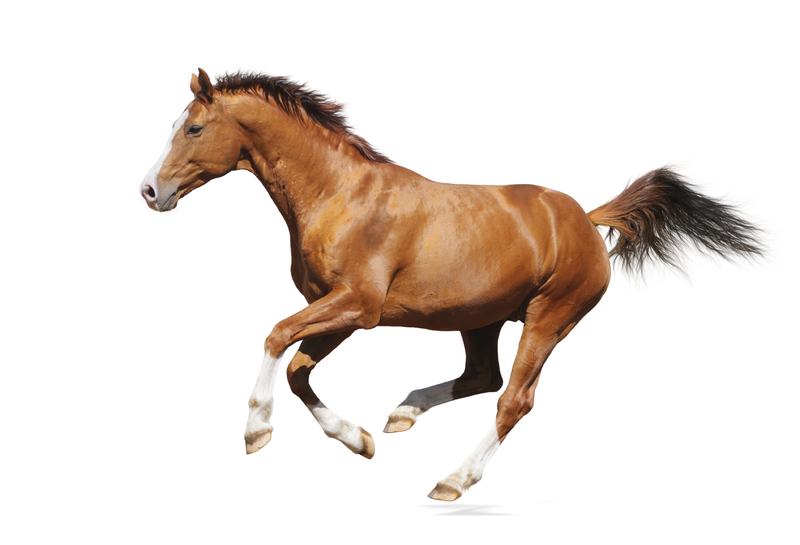 Phytase, for example, is not naturally produced by the horse, but supplementation with it will allow them to access phosphorus from phytate, an otherwise non-utilized source. Even with cellulase produced by gut bacteria, cellulose from plant material is not fully broken down, so supplemental cellulase can help further utilize all available nutrients. These enzymes may help a hard keeper gain weight without having to make a dramatic increase in the amount of feed given. When considering the cost of feeding, the most economical option to maintain a healthy weight in your horse may actually be to provide them with a quality enzyme supplement. This will allow them to get the maximum benefit possible out of everything else you are feeding. With how expensive quality hay and grain can be, why allow any portion of it to go unused? Combine good feeding practices, quality feed ingredients, and enzyme supplementation to keep your horses at their optimal health.